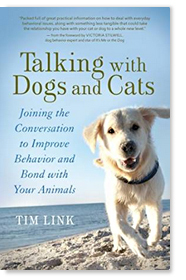 This week my guest is Tim Link, author of Talking with Dogs and Cats: Joining the Conversation to Improve Behavior and Bond with Your Animals. Tim Link is the host of the nationally syndicated radio show Animal Writes and a regular contributing writer for Victoria Stilwell’s Positively pet expert blog and Dogster and Catster magazines. He lives with his wife and their many pets outside Atlanta, Georgia. 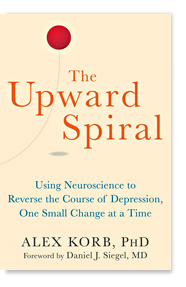 This week my guest is Alex Korb, PhD author of The Upward Spiral: Using Neuroscience to Reverse the Course of Depression, One Small Change at a Time. Alex first discussed his book, specifically how we can get stuck in the downward spiral, on my radio show on Tuesday April 28, 2015 (you can find it on the podcast archive page). He is returning for a second time to discuss how we can create an upward spiral. This week on Relationships 2.0 my guest is Karen Maezen Miller, author of Momma Zen: Walking the Crooked Path of Motherhood. Combining humor, honesty, and plainspoken advice, Momma Zen distills the doubts and frustrations of parenting into vignettes of Zen wisdom. Drawing on her experience as a first-time mother, and on her years of Zen meditation and study, Miller explores how the daily challenges of parenthood can become the most profound spiritual journey of our lives. This compelling and wise memoir follows the timeline of early motherhood from pregnancy through toddlerhood. 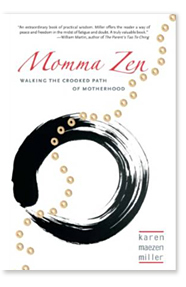 Momma Zen takes readers on a transformative journey, charting a mother’s growth beyond naive expectations and disorientation to finding fulfillment in ordinary tasks, developing greater self-awareness and acceptance—to the gradual discovery of “maternal bliss,” a state of abiding happiness and ease that is available to us all. In her gentle and reassuring voice, Karen Miller convinces us that ancient and authentic spiritual lessons can be as familiar as a lullaby, as ordinary as pureed peas, and as frequent as a sleepless night. She offers encouragement for the hard days, consolation for the long haul, and the lightheartedness every new mom needs to face the crooked path of motherhood straight on. Karen Maezen Miller is a wife and mother as well as a Zen Buddhist priest at the Hazy Moon Zen Center in Los Angeles. She and her family live in Sierra Madre, California, with a century-old Japanese garden in their backyard. She writes about spirituality in everyday life. She is the author of Paradise in Plain Sight: Lessons from a Zen Garden, Hand Wash Cold: Care Instructions for an Ordinary Life, Momma Zen: Walking the Crooked Path of Motherhood, and her writing is included in numerous anthologies. My guest this week is Kimber Simpkins, author of Full: How I Learned to Satisfy My Insatiable Hunger and Feed My Soul. 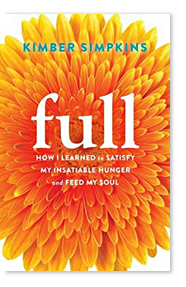 Full is the true, poignant story of one woman’s spiritual journey as she recovers from anorexia, eases the emotional pain of her hunger through yoga and Buddhism, and finally becomes full. In this inspiring and captivating memoir, Kimber Simpkins captures vividly—with piercing insight, raw emotion, and often humor—the all-consuming hunger she felt on a daily basis as a result of an eating disorder. Sick of dieting and hating her body, Simpkins decides to get to the bottom of her unhappy relationship with her body. That’s when she discovers the healing power of yoga and Buddhism. Along the way, Simpkins realizes her hunger isn’t simply physical, but that it comes from a place deep inside her. Through the wise teachings of yoga and meditation, Simpkins discovers she doesn’t have to live in a prison of self-dissatisfaction. In fact, by understanding the root of her pain and learning to love herself in body, mind, and spirit, Simpkins is able to truly set herself free. As she wrestles with her inner demons of hunger and perfectionism and learns how self-acceptance can soften even her toughest inner critic, Simpkins takes us along on her voyage of self-discovery. At its core, this book is a journey to find true self-fulfillment that will inspire readers in their own search to create a full and meaningful life. As long as I could remember, hunger followed me like an annoying little brother from the elementary school tetherball court, around the middle school track, into the spotlight of my high school’s production of “Once Upon a Mattress,” even tracked me into my college dormitory with its multi-table buffet, and all the way past long days spent in the dark law school library cubicles. As a lawyer and a new mother, I thought I would never be rid of it. It took years of practicing the gentle awareness that my yoga and meditation teachers urged me to offer myself before I figured out how to turn hunger into a friend instead of a problem. This is the story of Full. I’m also working on a second book, 52 Ways to Love Your Body (New Harbinger, Jan 2016), which is full of simple practices you can use daily to treat your body with more love. When I’m not balancing on my wobbly indoor standup paddleboard yoga mat, I might be outside in the garden meditating on our flock of backyard chickens while getting ready to go teach a yoga class or workshop. I am a big fan of the Health At Every Size (HAES) movement and community, and welcome students of all sizes and levels in class. I’m grateful to be a long-time Bay Area resident, enjoying the California weather with the love of my life, son, dog, cat, and chickens in Oakland. This week my guest is Molli Sullivan, a transformation coach and SoulCycle instructor. From Molli: Have you ever wondered why you’re here, what your purpose is, and where you’re going next? Ya know, the big, existential, down-the-rabbit-hole kinda questions that can be scary as hell? My mom says I’ve been asking those question since I was 5 years old (yes, I know, an existential crisis at 5 — don’t worry, I’ve had about 3 more since then, we’ll get to those later). Whether you were a spiritually inquisitive 5 year old, or are 30 and have yet to ask, living our most awesome lives begins when we start getting curious. What is our purpose? What brings us joy? How can we access it and share more of it? Whether you’re a nurse or a teacher; a florist or baker; an animal shelter owner or an artist, each of us have qualities and talents, and the way in which we access and share them is unique to our personality. From my dancing career to launching a magazine to sharing my passion for wellness with family, friends and colleagues, my gifts have taken many forms over the years. As we evolve, so do our opportunities — but first, we need to check in with ourselves. What’s something you’ve always wanted to try but have perhaps felt too scared to do it? Asking the above is the first step in helping the answers bubble up to the surface — then it’s ALL ABOUT THE ACTION! Molli is a Transformation Coach and SoulCycle Instructor living in San Francisco, California. A former professional dancer, Molli helps others connect with music, their body and their life passions to help them feel strong, vibrant and alive. Currently a SoulCycle instructor the Bay Area, Molli previously spent 6 years working in SF’s tech industry — spending time at both large companies and building startups — before she received some very strong signs — it was time to return to her rhythmic roots, share her passion for wellness, and help others discover the joy we all deserve to feel. Molli aims to inspire others to connect with their purpose, to embrace the ride — on and off the bike! — and to truly discover what it means to LIVE YOUR MOST AWESOME LIFE. This week my guest is Michelle Fondin author of The Wheel of Healing with Ayruveda: An Easy Guide to a Healthy Lifestyle. Ever wondered why you’re feeling out of balance, stressed-out, sick, and exhausted but still can’t sleep? Western medicine often ignores the underlying issues that can lead to fatigue, illness, and disease, but there is a way to revitalize your body and mind without drugs or dangerous side effects. Ayurveda, the “science of life,” is a complete wellness system that includes all that we associate with medical care — prevention of disease, observation, diagnosis, and treatment — as well as self-care practices that are generally absent from Western medicine. This truly holistic approach considers not just diet, exercise, and genetics but also relationships, life purpose, finances, environment, and past experiences. In this thorough and practical book, Michelle Fondin guides you gently through self-assessment questions designed to zero in on your needs and the best practices for addressing them, such as eating plans, addiction treatment, detoxification, and techniques for improving relationships. She outlines steps you can take, with minimal cost, to heal common ailments such as high blood pressure, heart disease, diabetes, excess weight, anxiety, and depression. These time-tested methods for body, mind, and spirit wellness offer benefits to anyone at any age. Author of The Wheel of Healing: An Easy Guide to an Ayurvedic Lifestyle and owner of The Ayurvedic Path Yoga and Wellness Studio since 2008, Michelle Fondin practices as an Ayurvedic Lifestyle Counselor, yoga and meditation teacher. 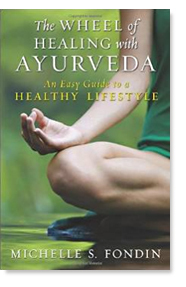 She holds a Vedic Master certificate from the Chopra Center and has worked with Drs. Deepak Chopra and David Simon at Chopra Center events teaching yoga and meditation. Michelle also writes for Chopra.com. Michelle regularly sees clients in Herndon, Virginia, teaching them how to live an Ayurvedic Lifestyle and achieve optimal wellness. She’s a member of the National Ayurvedic Medical Association, The Association of Ayurvedic Professionals of North America and Yoga Alliance. 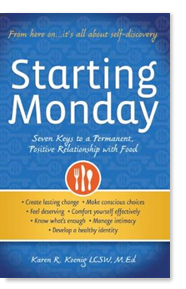 This week my guest is Karen R. Koenig, author of Starting Monday: Seven Keys to a Permanent, Positive Relationship with Food. Starting Monday is based on the simple premise that when our behaviors don’t align with our expressed intentions, we’ve got a conflict going on, often outside of our awareness. The book helps readers dig deeply into their psyches to figure out what mistaken beliefs and needless fears are holding them back from achieving their health and fitness goals. The polarized feelings for disregulated eaters to identify and resolve fall within these 7 key areas: 1) create lasting change, 2) making conscious choices, 3) feel deserving, 4) how to comfort themselves, 5) know what’s enough, 6) manage intimacy, and 7) developing a healthy identity. Starting Monday first helps readers unearth their mixed feelings in these seven areas, then teaches them how to change their beliefs and behaviors to resolve them. Using humor, plain talk, examples from her clinical experience, reflection exercises, case studies, and homework, Koenig lets troubled eaters know that their yo-yo patterns of eating and self care are due to conflicts. She shies away from easy answers and, instead, provides hope and concrete actions to developing a permanent, positive relationship with food. This week my guests are Susan Glaser PhD and Peter Glaser PhD, authors of Be Quiet, Be Heard: The Paradox of Persuasion. Learn the secrets instinctively known to charismatic, persuasive communicators and reap the rewards of stronger relationships and increased influence in every area of life. Communicating effectively is a learned behavior. Virtually anyone can become a more influential and persuasive communicator. This ground-breaking book reveals concrete methods proven over 35 years of research, teaching, and consulting to address a wide range of communication challenges that organizations and individuals face. Readers learn to raise delicate issues, convince without being overbearing, and to constructively resolve conflict and criticism. Based on international award-winning research, Be Quiet, Be Heard rejects canned formulas that leave little room for adaptability. When people attempt to speak using pre-packaged sound bytes, others see right through the one-size-fits-all technique. In lieu of staid formulas, this book offers models that provide flexible guidelines and progressive steps that can be easily adapted to specific communication challenges. Peter A. Glaser, Ph.D. and Susan R. Glaser, Ph.D. received their doctorates in communication from the Pennsylvania State University. 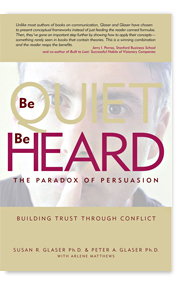 Authors of the internationally acclaimed book, Be Quiet, Be Heard: The Paradox of Persuasion, they have been married business partners and co-presenters for thirty-nine years. Drs. Glaser have published three books and more than forty research articles. Their research on transforming organizational culture has received the International Association of Business Communication Research Foundation Award for bridging communication theory and practice. Feature stories have been written about them in periodicals and newspapers. The Glasers joined the faculty of the University of Oregon in 1975, and their consulting work has taken them around the world working with leaders from Fortune 500 companies such as Microsoft, Hewlett Packard, Weyerhaeuser, and others. They spend February in New Zealand working with leaders from both the private and public sectors. They have worked with federal, state, and local government leaders throughout the US, Canada, and the UK, including their ongoing work with the US Congress. 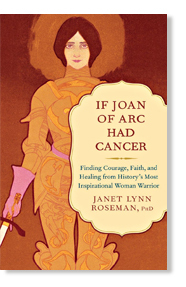 This week my guest is Janet Lynn Roseman PhD, author of If Joan of Arc Had Cancer: Finding Courage, Faith, and Healing from History’s Most Inspirational Woman Warrior. Joan of Arc, the fourteenth-century teenager who led the armies of France before facing the Inquisition, stands as the quintessential icon of feminine courage and faith. These are the attributes most needed by women facing a diagnosis of cancer or any life-threatening disease. Drawing directly from the words Joan spoke at her trial, author Janet Lynn Roseman presents thirty-one Flames of Courage and thirty-one Gateways to be used over the course of a month or a year to resurrect inner fortitude and create an environment for healing. Her approach encompasses body, mind, and spirit and will help you access and reclaim your personal power to find healing and peace in your journey. Janet Lynn Roseman Ph.D. is an author,teacher and intuitive healer. She was the David Larson Fellow in Spirituality and Medicine at the Kluge Center for Scholars at the Library of Congress and the author of several books. Dr. Roseman specializes in spirituality and medicine and compassionate care and currently is a Clinical Assistant Professor in Family Medicine at Nova Southeastern University’s School of Osteopathic Medicine. She also worked as a Clinical Instructor in Family Medicine at Brown University’s Medical School. Dr. Roseman is a skilled medium and intuitive healer and works with clients in-person and long distance. She teaches workshops in Illuminated Dream Healing™ and Illuminated Reiki™ across the country as well as workshops for women with cancer. She is currently working on several books on spirituality and healing and death and dying. This my guest is Alex Korb, PhD author of The Upward Spiral: Using Neuroscience to Reverse the Course of Depression, One Small Change at a Time. This show was rescheduled from February 24th due to technical difficulties at the station. 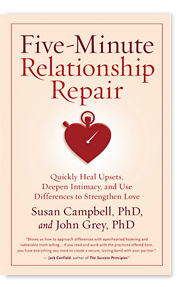 My guest this week on Relationships 2.0 is Susan Campbell Ph.D, co-author of Five Minute Relationship Repair: Quickly Heal Upsets, Deepen Intimacy, and Use Differences to Strengthen Love. 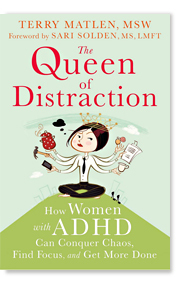 This week my guest is Terry Matlen MSW, author of The Queen of Distraction: How Women with ADHD Can Conquer Chaos, Find Focus, and Get More Done. From getting dressed in the morning, to making it to a job interview, to planning dinner—sometimes just getting through the day can be an ordeal for a woman with ADHD. If you’ve been accused of getting lost in your own world, maybe it’s time to make a change. If you’re ready to start getting organized and stop leaving your groceries in the car, this book can help. It’s more than just a survival guide; it’s an ADHD how-to to help you thrive! Terry Matlen, MSW, is a psychotherapist, consultant, writer, and coach. She is the author of Survival Tips for Women with ADHD and founder of addconsults.com. Matlen has been interviewed by National Public Radio, the Wall Street Journal, Time Magazine, the New York Times, US News and World Report, Newsday, Today, CBS This Morning, The Jane Pauley Show, Ladies’ Home Journal, Glamour, and others. “All of us are creatures of a day,” wrote Marcus Aurelius, “rememberer and remembered alike.” In his long-awaited new collection of stories, renowned psychiatrist Irvin D. Yalom describes his patients’ struggles—as well as his own—to come to terms with the two great challenges of existence: how to have a meaningful life, and how to reckon with its inevitable end. In these pages, we meet a nurse, angry and adrift in a morass of misery where she has lost a son to a world of drugs and crime, and yet who must comfort the more privileged through their own pain; a successful businessman who, in the wake of a suicide, despairs about the gaps and secrets that infect every relationship; a newly minted psychologist whose study of the human condition damages her treasured memories of a lost friend; and a man whose rejection of philosophy forces even Yalom himself into a crisis of confidence. Their names and stories will linger long after the book’s last page is turned. 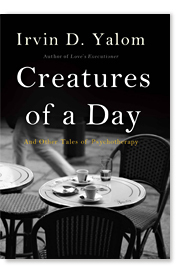 Like Love’s Executioner, which established Yalom’s preeminence as a storyteller illuminating the drama of existential therapy, Creatures of a Day is funny, earthy, and often shocking; it is a radically honest statement about the difficulties of human life, but also a celebration of some of the finest fruits—love, family, friendship—that life can bear. We are all creatures of a day. With Yalom as a guide, we can find in this book the means not just to make our own day bearable, but meaningful—and perhaps even joyful. Irvin D. Yalom is an emeritus professor of psychiatry at Stanford University and a psychiatrist in private practice in San Francisco. He is the author of many books, including Love’s Executioner, Theory and Practice in Group Psychotherapy, and When Nietzsche Wept.